Now you are high-school baseball player!! More than total 3.5 million downloads! Let’s go to dream ballpark with colleague! Team sport RPG! 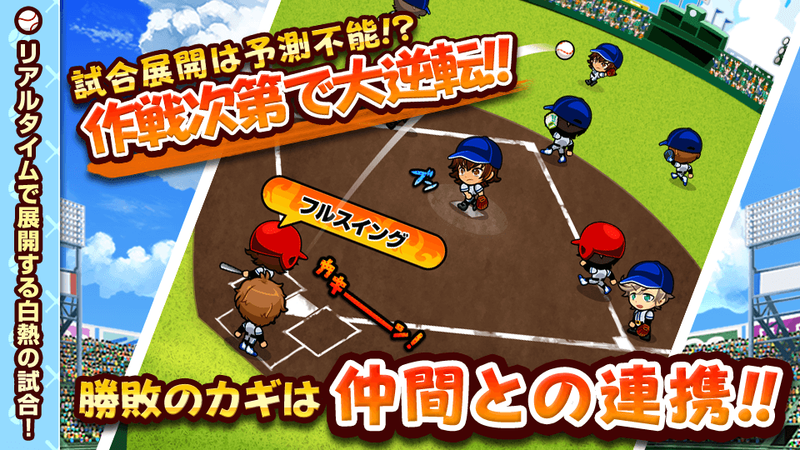 The popular Bokura no Koshien series underwent super evolution! 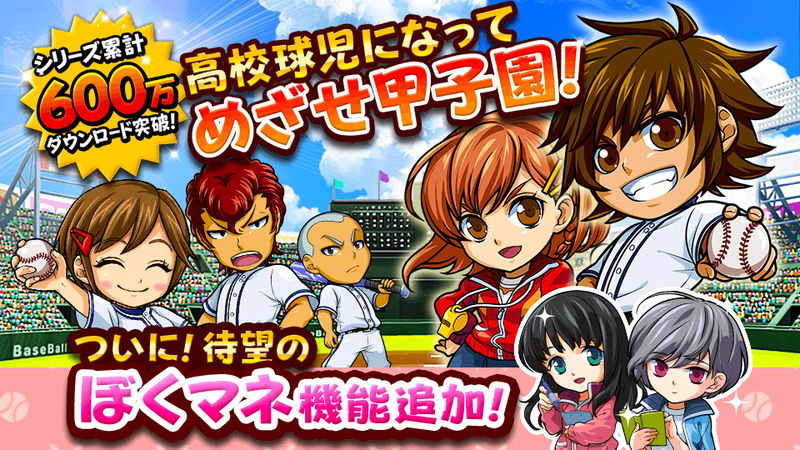 Let’s become a high school baseball player, make a team, and win a tournament at Koshien! Select your own character and equipment for the game! and even a girl member for the first time in the series! Select your favorite glove, bat, and spikes, as well as cap and uniform, and race through the ground and Koshien ballpark!! 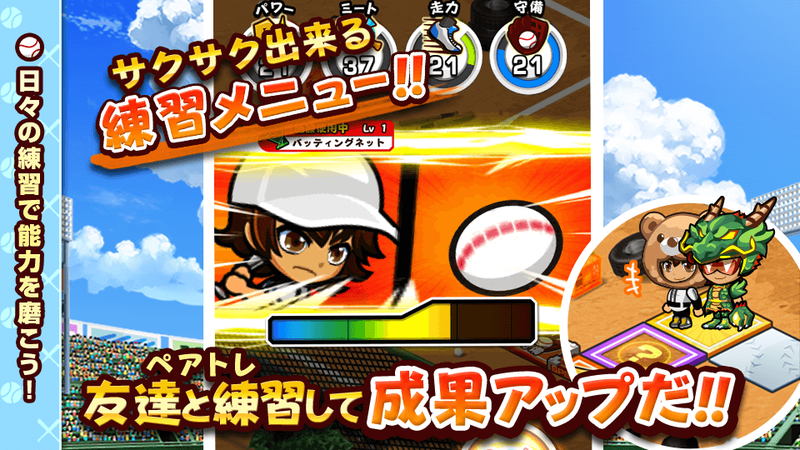 Exciting baseball practice with sugoroku! 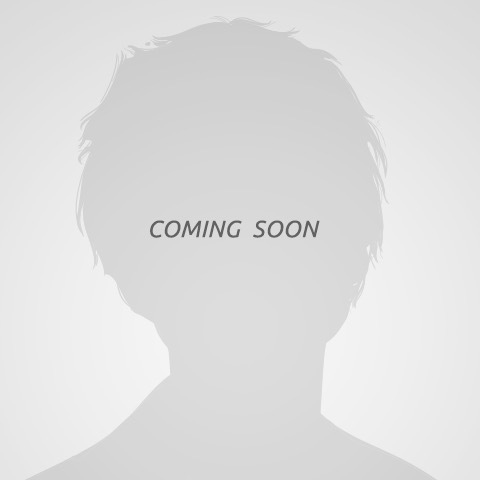 Now featuring the new player-fostering system combining a board game and mini games, users can foster a player quickly. Roll the dice and be stronger! Activate skills that determine the game! 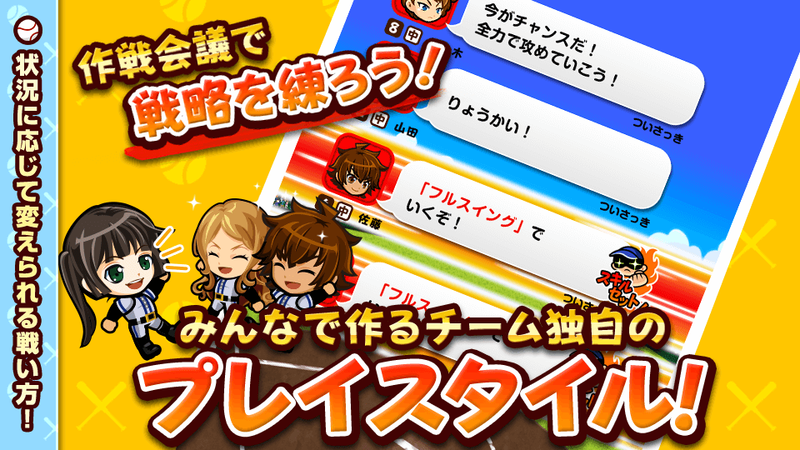 Have a tactics meeting with colleagues through chat during the game! The key to winning is teamwork! Diverse characters fully support you! Akane, a manager who helps you in need. Gen-san and Kakefu ji-san, who make your baseball equipment stronger. 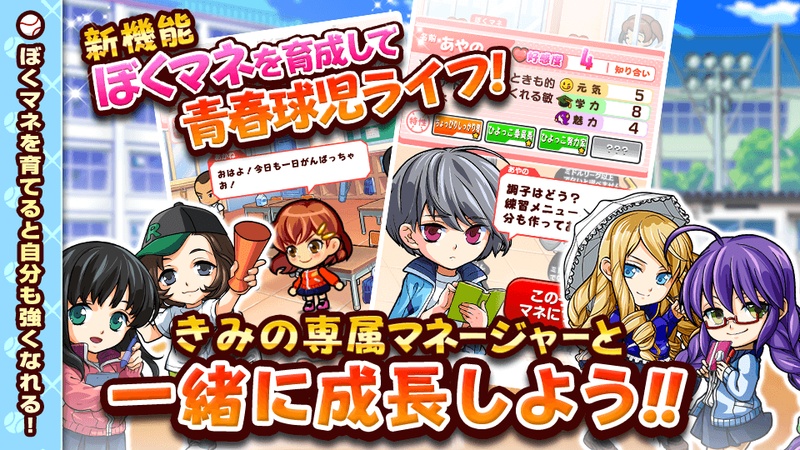 Diverse characters at school, town, and outside the game support you! You are an eternal high school baseball player! Practice, talk with them, and win the games! The joy of winning in cooperation with others is waiting for you! © KAYAC Inc. All Rights Reserved. representing the essence of KAYAC.